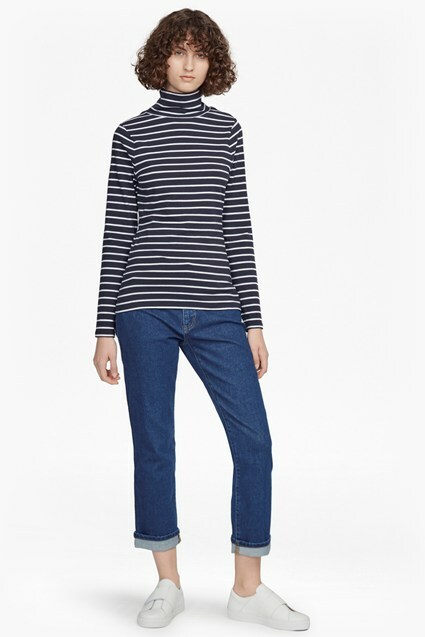 A classic stripe print, regular fit and cosy cotton-blend feel make the Tim Stripe T-Shirt the perfect piece for casual days. A slight stretch brings added comfort to this long sleeve tee, which features a monochrome stripe throughout, with the palette inverted half-way for added interest. Pair with jeans and layer under open shirts.